The undeniable surge of interest in puppetry arts around the world confirms the form’s enduring influence and boundless expressive richness. Puppetry’s many permutations attract creators and spectators alike to its age­old and constantly renewed alliance between matter and movement, as a reflection of ourselves or a reinvention of our world. 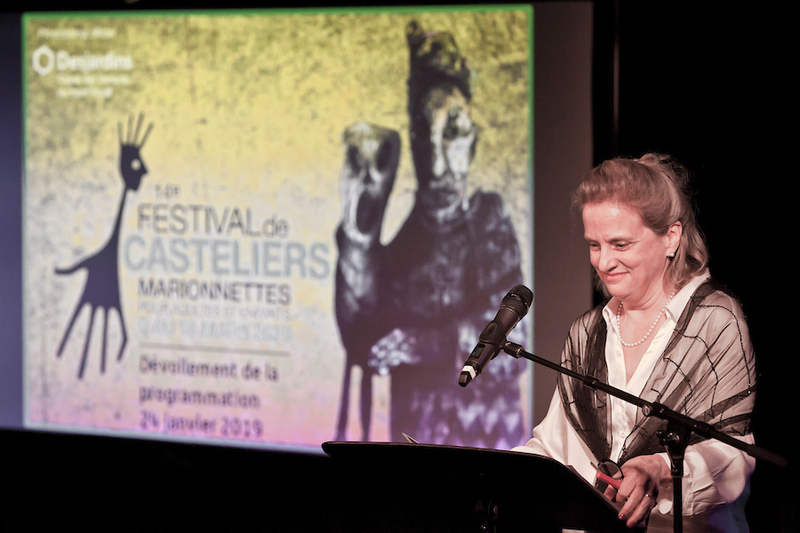 The Festival de Casteliers program features a wonderful selection of great works celebrating the 11th art. This year, France is being showcased as we welcome four shows and many French artists, as well as companies from the United States, Canada and Québec. Puppeteers, actors, puppet and set builders, musicians and circus performers will create illusions, as they combine wood, cardboard, fabric and long strings with insight, humour, poetry and imagination. The festival will also be the perfect opportunity to officially inaugurate the Maison internationale des arts de la marionnette (MIAM). The MIAM opened in the fall of 2018 and has already welcomed more than a thousand people – artists, local residents and visitors – from here and around the world. Located in the heart of the Outremont borough, it will contribute to Montréal’s status as a cultural metropolis, both nationally and internationally. It will also allow puppetry’s myriad faces to shine at home and abroad.